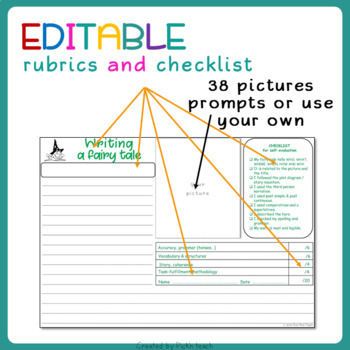 Want to make writing fun and engaging for your students? Use the power of pictures ! This year I decided to try pictures… and it’s been a hit !! I gave each of them one of the photos from the pdf document included (I printed them in black & white to save ink – it was perfect) along with the worksheet (pdf AND editable included) and let them use a dictionary. They had 45 minutes, a bit more for my special needs students. 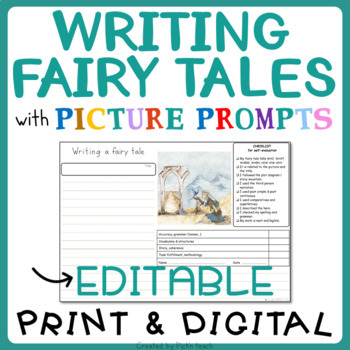 Pictures can be a wonderful way to motivate our students’ imagination – even reluctant writers ! 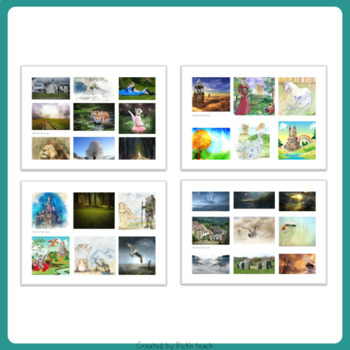 The picture prompts in this resource are all based on visual images that stimulate the imagination. So use pictures to spark your students’ interest ! ★ ★ Click the Green ★ FOLLOW button to get notifications of new resources, freebies and reduced prices! ★ ★ ★ You can receive credit toward future purchases by reviewing this resource so if you like it, just leave a review through "My Purchases". I would love and appreciate your feedback! Thank you!